Band, music, the arts... loved the simplicity of rural life. I've left the farm, but the farm and its beautiful qualities have never left me. Give me a starry night, the still quietness of country living. Very grateful for my upbringing! Thankful for each of you who have been part of this past chapter in my life! 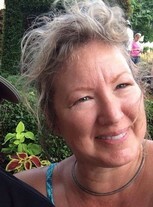 Susan Laufmann Jacobs updated her profile. View.